Underwater boat lighting can be an expensive add-on as an aftermarket option for a boat. 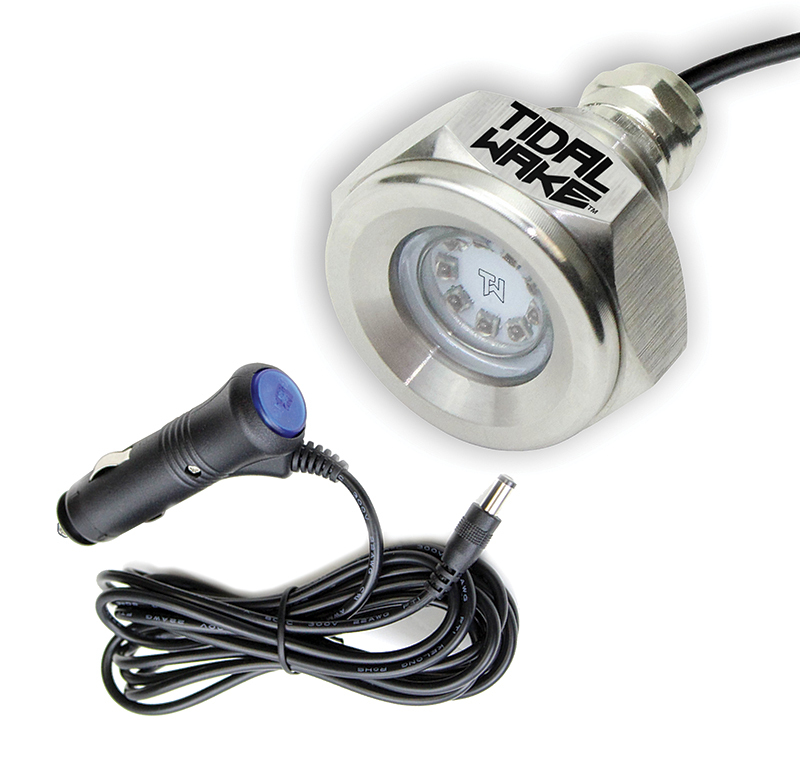 The Plug N’Play LED Drain Plug Light from Tidal Wake makes adding a light easy without drilling any holes. The light installs quickly by simply replacing the boat’s existing half-inch threaded drain plug with the ultra-bright LED light, then plugging it into any boat accessory outlet. No hull modifications are required. Made of stainless steel, the light can be used in both fresh- and saltwater applications.